For people looking to learn meditation, there are plenty of ways to be introduced to the practice, ranging from meditation teachers to online courses. 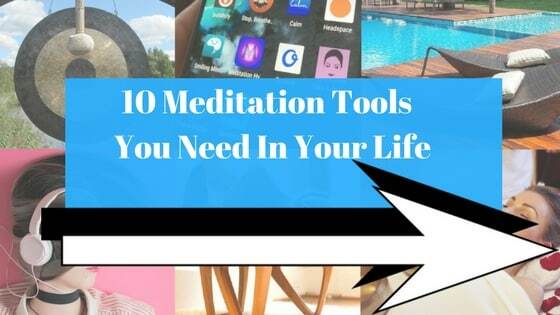 Whether it’s a guided meditation on Youtube, a mindfulness app like Headspace or simple breathing exercises, technology and greater knowledge of meditation’s benefits have conspired to make this practice more accessible than ever. Tapping open an app when we’re a bit stressed on the train is a far cry from the mountain monasteries and ashrams that were the traditional homes of meditation, and this universality represents a huge leap forward. But while smartphones and online how-to guides are a great start in bringing meditation into our lives, there comes a point for many people when they wish to develop beyond the introductory level, and need a little guidance in knowing exactly how to do so. This is where the services of a meditation teacher come in. There are a huge amount of certified and experienced meditation teachers across the world, all teaching various forms of meditation for various fees and with varying course structures. The question is: In order to choose the right guidance for you, what should you look for in a meditation teacher? First things first, why should you learn meditation with a teacher? Truth is: You don’t have to find a meditation teacher if you don’t want to. Meditation is an extremely broad church, encompassing everything from Christian prayer, to taking a few deep breaths at work, or putting yourself through 14 hours of holding the lotus position on a hard floor. If you are happy to explore meditation on your own through research, there’s nothing wrong with that; but if you want a little guidance in advancing your practice, there are benefits to visiting a meditation teacher. As corny as it sounds, it can be useful to be instructed by someone who is further along in their meditation “journey” than you. Most meditation teachers will have many years of practice under their belt and should have trained with experienced and respected members of their profession. Talking to someone who has meditated regularly for a long time gives you the opportunity to ask questions, receive support in difficult moments, and benefit from their experience. You will get to meet a likeminded community of newbies who are just beginning to learn meditation, which could lead to to friendships and a support group who will help you cement the habit. Meeting and getting to know a group of people who are all embracing meditation can be a really helpful and enjoyable part of learning meditation with a teacher. A meditation teacher can help you achieve something new in your meditation practice, should you find that your personal pursuit of this practice has stagnated. Apart from offering experience and teaching you new techniques, they also offer an outsider’s perspective, and may be able to see something that’s holding you back which you have missed. Meditation spaces are a great refuge from the world and give you a place where you don’t need to focus on anything but your practice. Meditation teachers often operate in spaces they have carefully designed to be as soothing and pleasant as possible, and it can be nice to have a little retreat with a welcoming atmosphere to visit. There are some forms of meditation which require a teacher in order to be practiced in their most authentic and traditional way. For instance, the meditation centre in London I work for teaches Vedic meditation, otherwise known as Transcendental meditation. You may know this meditation technique through it’s branded iteration, T M, but it is in fact an extremely old technique that originated in India. In TM, a mantra is selected for you by a qualified teacher. These are just some of the advantages of learning to meditate with a teacher, but once you know you want someone to guide you, there’s a few things to think about before picking one. How much a meditation teacher might cost and whether this fits with your budget. The technique you want to learn. How intensive you want the course to be. The last two considerations are fairly simple things to think about. In regards to the technique you most want to learn, it usually comes down to doing your research and seeing which of the different meditation techniques most resonates with you. Many meditation centres offer introductory talks where you can learn more, while independent teachers are usually more than happy to have a chat should you want to give them a call. While meditation centres usually offer a variety of courses, the time and input a course requires is another thing which may steer your decision. Some meditation classes are 90 minutes of guided meditation, where people of mixed experience come together and there isn’t too much in the way of personal guidance – perfect if you want to ease yourself in with a hands-off approach that doesn’t require too much commitment. On the other hand, you may find courses that will keep you booked up for 6 weekends and offer something very in-depth and personal. Many beginners courses will take place over a weekend, which isn’t too much of an undertaking but is still enough to become immersed in a new technique. Ultimately, this is a matter of personal preference. How much do meditation teachers and courses cost? Cost, perhaps predictably, is a little more complicated. There are free options for meditation classes, especially in Buddhist centers. They will tend to charge for longer courses (albeit for a relatively low fee) but for those on a budget, or those who have an existing interest in Buddhism, these are the perfect option. It is usually recommended that you make a voluntary donation – even though religious foundations are often exempt from some taxes and will have many committed donors to help them cover their costs, rents and other expenses can still add up! Are you free to contact the teachers afterwards for advice and support, and is this support ongoing? Is the meditation space well kept and well situated? Does the meditation centre/teacher offer follow-up meetings, such as group meditations? Are there regular free events or guided meditations on offer? Are the meditation teacher(s) demonstrably well trained? How long have they been meditating? The majority of people teaching meditation will want to make it as accessible as they possibly can and will generally offer discounts for people in challenging financial situations. It’s really important that you feel comfortable with (and enjoy the company of) your teacher. You aren’t going to feel particularly meditative if you suspect that your teacher is just that little bit too hippy-dippy to be taken seriously, or thinks far too much of themselves, or whatever it is that’s putting you off. Any meditation teacher you meet should be open to other techniques and not at all pushy or salesman-like. A good meditation teacher will want what’s best for you and trust you to make that judgement, and won’t be evangelical about the idea that “their” technique is the very best for everyone and you definitely should listen to what they say. It doesn’t matter how religious or secular a meditation center is either, if you feel comfortable in either setting. You may find that a Buddhist centre has elements of philosophy that don’t chime with you, or that meditation in the Hindu tradition has too much of a feeling of spirituality. In this case, you are going to want to find the most secular and modern option available to you. However, it may be that you feel that meditation completely stripped of spirituality is not for you, in which case you will be guided by your own beliefs and ideas. Even if you are the most no-nonsense and down to earth person imaginable, perhaps the most important thing to look for in a meditation teacher is someone that inspires you. This doesn’t have to be in the sense of a guru or spiritual guide, but someone who’s daily meditation habit and commitment to self-improvement is something you want to emulate—someone who fills you with the confidence in your own ability. Ultimately, you don’t need a teacher to keep paddling along at the same pace, or someone who is only going to tell you what you already know. A meditation teacher is there to give you something that it would be hard to find on your own – and for that, you need someone you find pretty amazing. And who know, one day you might become a teacher yourself. Holly Ashby is a wellness writer who works with Beeja Meditation, a meditation centre that teaches transcendental meditation in London, as well as holding meditation events such as the music-based Shavasana Disco and hosting meditation retreats in the British countryside.